No order too big or too small. Eco-friendly business with a very low carbon footprint, all waste materials are eco friendly, drain safe or recyclable. 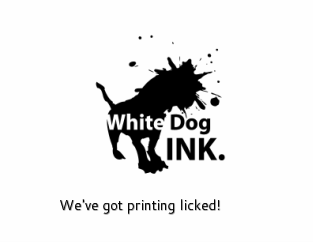 White Dog Ink can get your logo, image or artwork onto your choice of shirt quick and for the right price. We work with new and well established businesses in the Rochester and surrounding communities to provide quality, personalized service.